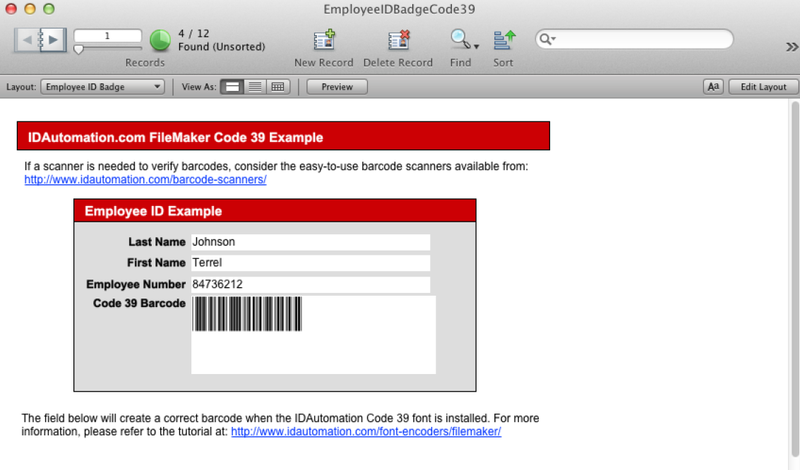 How to install Barcode Fonts on FileMaker Mac? I am on Mac OSX 10.8.5. I purchased Code 39 fonts and successfully installed them and rebooted. But when I open Filemaker 11, Excel 2011 or Word 2011, they do not appear in the font list. I also downloaded plugins for Filemaker (and it shows when I view plugins in Filemaker) and plugin for Office. Has anyone else had this problem? What can I do? I already tried resetting everything on Mac back to defaults. Note: This issue is considered outdated. 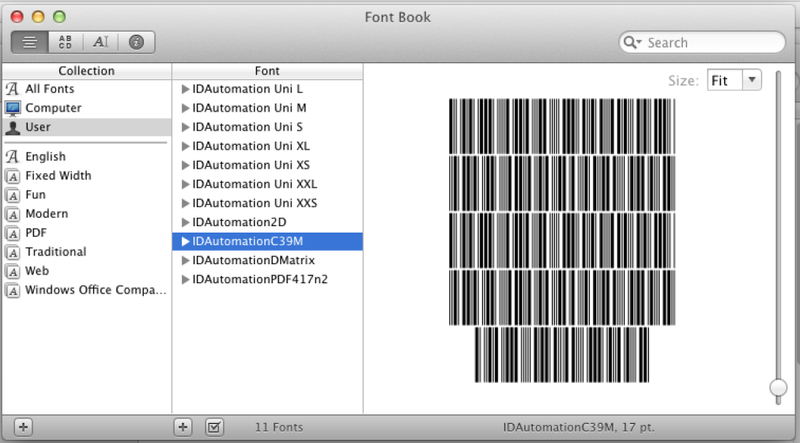 IDAutomation now offers FileMaker Font Encoders as Custom Functions (for linear) and Font Encoder Objects (for 2D such as QR-Code and GS1 DataBar). These new products offer more compatibility and easier implementation. The following example is taken from a Mac running FileMaker Pro 11. We suggest implementing the above steps and using the mentioned report. inzones	 If anyone at ID could help me make the fonts work with Filemaker11or 13 on my Mac, I would be eternally grateful. You can download a trial version of Filemaker13 to test. I would be happy to be your test subject after you figure out how to do it. Ben I am glad it is working in the other version you tried. However, it is a bit weird that FileMaker support would say that. If that was the case, no custom fonts could be used in the FileMaker versions above the version they noted. At about 4:40 into the video, there is a way to configure fonts. However, I do not know if Mac has the same options. inzones	 A support rep at Filemaker told me that the fonts would work on Filemaker 7 and earlier but that with Filemaker 10 or 11 they changed the way Filemaker handles fonts on both the Mac and PC. So I dug up my old Filemaker 6 CD, loaded it on my PC and recreated my layout. 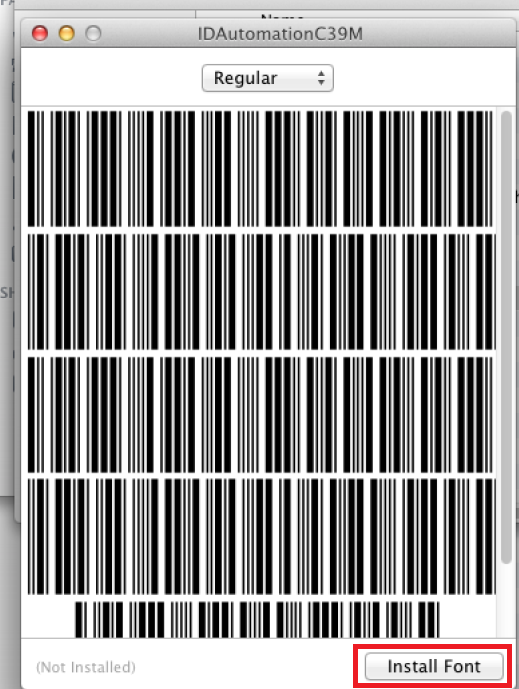 I was able to import the fonts to Filemaker (which I couldn't do on later versions) and have successfully printed barcode labels for our co-op Art Gallery. Now I'm trying to install Word 2003 to see if that will handle the fonts as well. Ben The fonts provided by IDAutomation are .ttf (TrueType fonts). They are compatible with any application that can used fonts, including FileMaker. 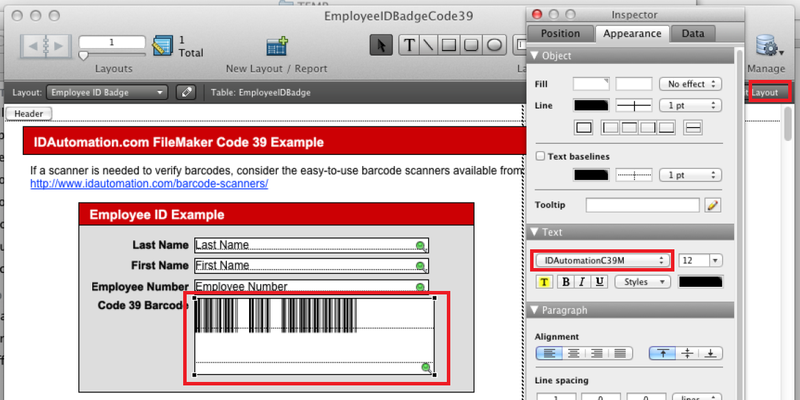 We have several customers that use barcode fonts on Mac and Windows. The main problem is the installation of the fonts for the particular application or operating system that you are working in. Because we are not running the particular version of FileMaker Mac, I am not quite sure what steps you need to perform to ensure the font is available in FileMaker. On Windows it seems to be a bit easier as you install the fonts into your Fonts directory and immediately have access to the fonts from FileMaker. On Mac, I am not quite sure what additional steps need to be taken after the fonts are installed. If you have installed the fonts on Mac and can view IDAutomationHC39 (XS through XXL) or IDAutomationC39 (XS through XXL) fonts in other applications such as a Text Editor, then the issue is getting the procedure to select the fonts in FileMaker. FileMaker should have instructions for adding custom fonts to their font list.